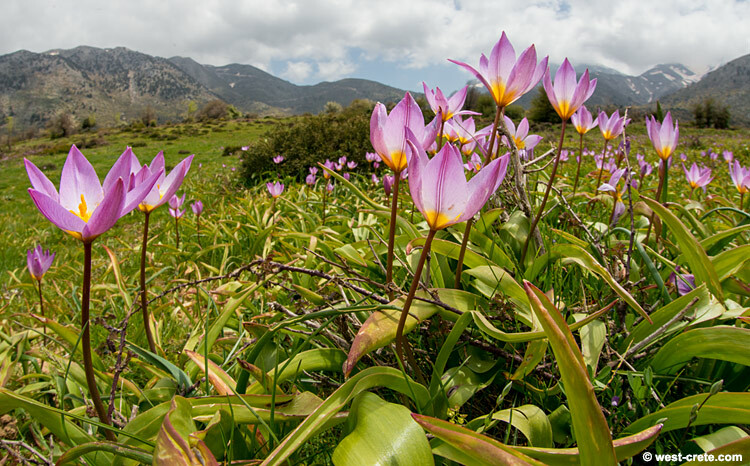 Wild tulips growing on the plateau of Omalos. Some botanist call then Tulipa bakeri whilst others are of the opinion that it is a variation of Tulipa saxatilis. They are very plentiful on the plateau of Omalos if you can catch them at the right time.